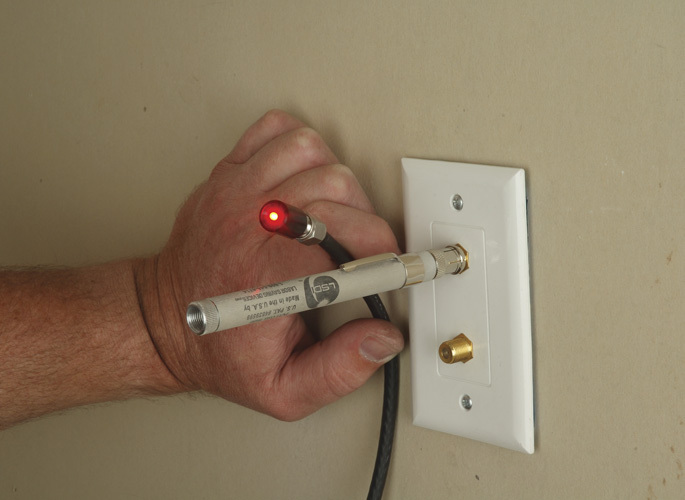 This pocket cable tester is perfect for quick coax testing at the home theater, office, CCTV or A/V system installation site. This handy and durable tester can be used as a FC coax single line tester for continuity (tests for shorts or splits) and a single line identifier. The pocket tester has three components: a durable and corrosion resistant aluminum “power pack” main body (houses two AAA batteries); the “bandit” continuity tester module and the LED line identifier cap (for F-Connectors). Attach the bandit onto the main body and test for continuity or use the main body power pack at one end of your line and the LED identifier cap at the opposite end to identify the correct line. Made rugged yet small to be easily placed in your pocket or tool bag. Two AAA batteries included.